A week after protesters toppled the only Confederate monument on a UNC campus, the fate of Silent Sam is still uncertain. The UNC-Chapel Hill Board of Trustees and the UNC Board of Governors held overlapping special meetings Tuesday, a week after protesters tore the statue down. But neither board came to a firm conclusion about the future of the monument, even after hours of closed session meetings in which the boards heard legal advice and discussed security concerns. 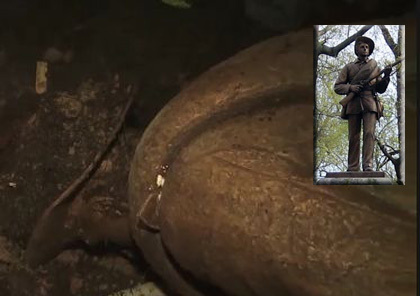 After it was toppled by protesters, the statue was taken to an undisclosed location. The university has not commented on its condition or what it would take to restore it. 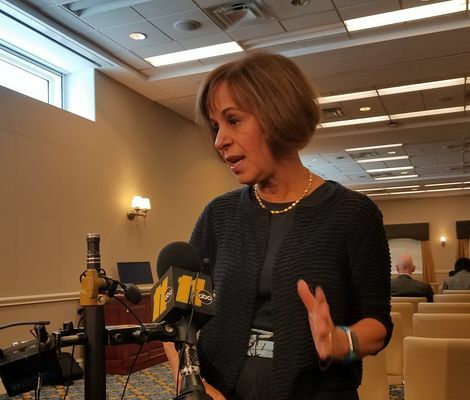 In a press conference after the Board of Trustees’ own four-plus hour closed session, Folt said she and the trustees will consider all options. She would not rule out returning the monument to its original location at McCorkle place and said it was too early to say what other locations on campus may be considered. 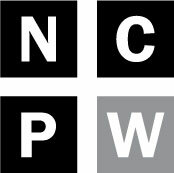 The review will be led by Board of Governors members Phil Byers and Bob Rucho, Board Chairman Harry Smith said in a statement Tuesday, and will be presented to the board as soon as it can be completed. Goolsby was referencing N.C. General Statute 100-2.1(b), part of the 2015 law that made it more difficult to legally remove Confederate statues on state property as public sentiment for their removal swelled. But the provision he cited in a YouTube video on the subject says statues temporarily relocated under the law for their own protection or because of construction must be replaced within 90 days. It does not speak to a legal requirement for the university system to reinstate a statue that has been vandalized or destroyed. Whether the university removing the damaged remains of the statue from the ground after it was toppled could be considered voluntarily removing it for its own safety as intended by the law is the subject of debate. In an opinion column for Raleigh’s News & Observer this week, Eric Muller, the Dan K. Moore Distinguished Professor at the UNC School of Law, argued it would not. Whatever the plan ultimately offered by the trustees, the Nov. 15 deadline ensures that the board of governors could, if they choose, restore the statue within the 90 day time period outlined by the law. In the wake of the statue’s toppling student, faculty and staff groups have been near unanimous in opposition to the idea of its return. 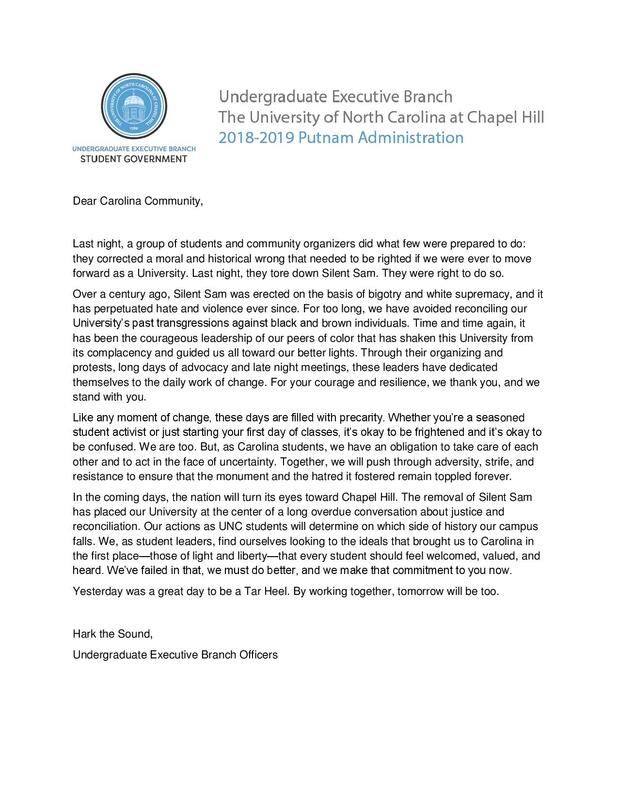 The day after the statue was torn down, the undergraduate student government at UNC-Chapel Hill released a statement supporting it. Sentiments like those have exposed a long-held tension between the views of students, faculty and staff and those in administration. Folt, like all chancellors, is answerable to the board of governors — a body whose current conservative majority was appointed by the GOP-controlled General Assembly. Folt, who with UNC President Margaret Spellings has drawn the ire of conservatives on the board in the last year, spoke carefully in prepared remarks to reporters after Tuesday’s meeting of the trustees. Folt said the “eyes of the nation” are now on UNC-Chapel Hill and quoted the Senator John McCain, who died this week.